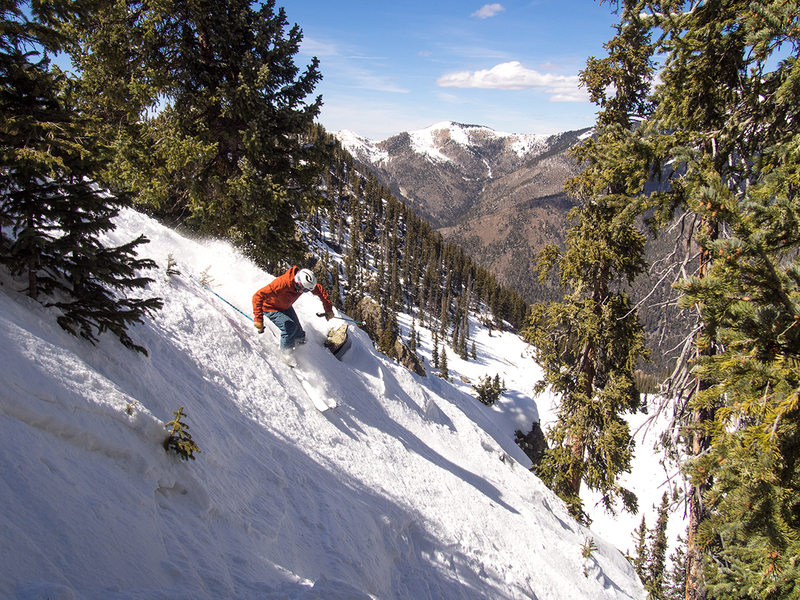 Jonathan Ellsworth on the Blizzard Brahma, Taos Ski Valley, NM. I hadn’t read those Buyer’s Guide descriptions since writing them last Fall, and I confess that I hadn’t remembered what I wrote, since, to date, I’ve mostly tried to repress all memories of producing the Buyer’s Guide each year. But if the production process tends to be brutal, I’m happy to report that, having been back on the Brahma this past season, I think our Buyer’s Guide descriptions were on point. And now that we’re very hard at work on putting together our 18/19 Buyer’s Guide (more info coming soon) — and comparing the 200+ skis that will be included — I keep coming back to the conclusion that the Brahma is dialed. Compared to the previous Brahma, this new Brahma has a touch less traditional camber underfoot, and a lot more tip splay. Like the previous Brahma, this iteration still has a deep tip rocker line, and a much deeper tail rocker line (though tail splay is about the same on the two skis — ~10 mm vs. ~9 mm). So when Blizzard talks about this Brahma being even easier to ski, well (1) they’re right, and (2) a lot of that easiness has to do with the increased tip splay, deeper tail rocker line, and (perhaps least significantly) that touch of reduced camber underfoot. Compared directly against a few other ~88mm-wide skis, the Brahma’s shovels are in line with the 18/19 HEAD Monster 88 Ti, Renoun Z-Line 90, Armada Invictus 89 Ti, Volkl Kendo, and new Blizzard Rustler 9 — with the Monster 88 being the stiffest in the group, then the Kendo, then the Brahma, with the Invictus 89 Ti and the Rustler 9 bringing up the rear. Comparing the back end of those same skis, it’s worth noting that the very end of the Brahma does ramp back up in stiffness. But in terms of the overall stiffness of the tails, the Brahma is similar to the Armada Invictus 89 Ti and 18/19 Monster 88, while the Volkl Kendo and Renoun Z-Line 90 are both a touch softer, and the Blizzard Rustler 9 has the softest tails in the group. For reference, here are some of our measured weights (per ski in grams) for a few notable skis. As always, be sure to note the particular lengths of all of our measured skis to keep things more apples-to-apples. If anything, compared to our measured weights of the 187 cm 14/15-15/16-16/17 Brahma, the new Brahma has not lost any weight. If anything, I imagine that a pair of new 187 cm Brahmas will weigh just a touch more than the last iteration of this ski in a 187 cm length. Snarky Joke: Apparently Blizzard didn’t get the memo that, going forward, frontside skis designed to excel on very firm (often harsh) snow are supposed to weigh the same as touring skis. Diplomatic Recovery: Just kidding. 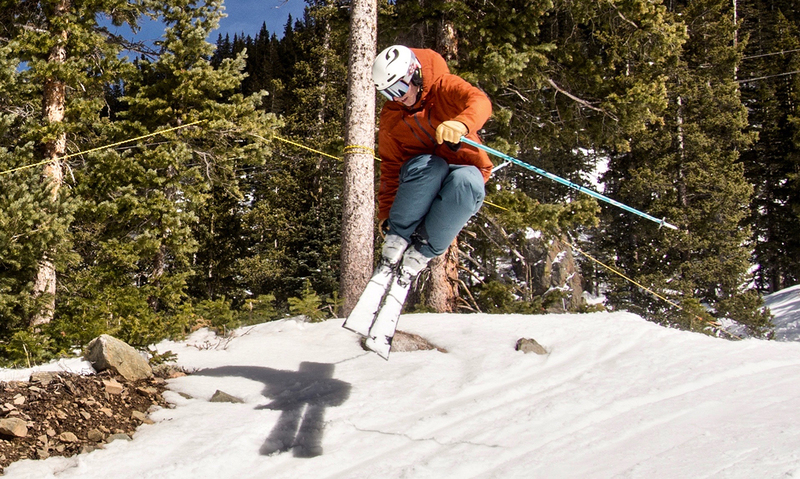 There is a time and a place for a lightweight, frontside ski. Some folks out there certainly seem to be enjoying them. Ski whatever the hell you like. Since I (#1) wrote a whole lot about the previous 187 cm and 180 cm Brahma, and (#2) we started this review with our Buyer’s Guide overview, I’m going to spill less ink here on the current 180 cm Brahma. But I do think this new version is easier to ski and is a bit more forgiving than the previous version, while at the same time, I have yet to find it lacking in terms of top end. To be clear, I am not interested in or ready to argue that the Brahma has the biggest top-end in this category, but rather, given how good this ski has felt pretty much everywhere, I am also impressed by how hard it can be pushed. Put otherwise, the 180 cm Brahma feels remarkably dialed to me. It is stable yet maneuverable. It is very comfortable carving hard on piste, but it feels very comfortable off-piste, too — navigating very steep, bumped-up lines, sliding turns through narrow chokes, zipperlining moguls, and, maybe most surprising, not getting stuck or hung-up in untracked snow that varied from very light to sunbaked and dense. I always roll my eyes when I see someone commenting about how beautifully their frontside-oriented, sub-90mm-wide ski handles 12-18” of powder. Stop it people. In deeper and / or grabbier and / or variable snow, something wider than sub-90 is simply better and more fun. 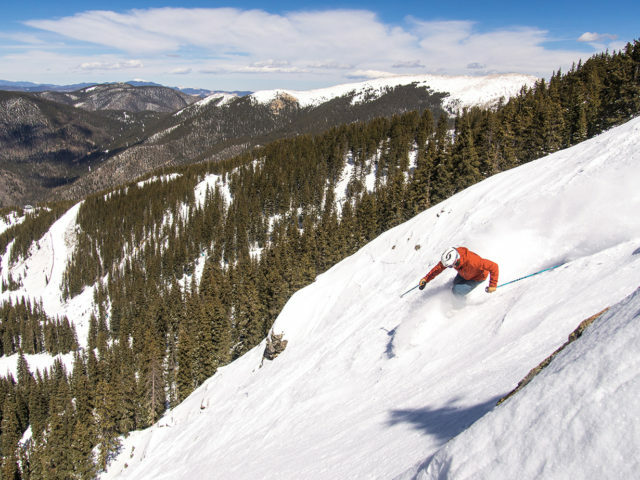 But if you are only going to own a single ski — or you’re looking to put together a ski quiver, then it becomes extremely important to know the performance bandwidth of your sub-90 ski. Some such skis are definitely best left on-piste. And other skis don’t carve with nearly the same power or precision as the leaders in the category. But with the Brahma, there are very, very few skis I’ve been on that I would feel as comfortable taking literally anywhere on the mountain. And in 18” of pow, I would most definitely prefer to be on a wider ski. But when I had the Brahma in 12-18” of both light and pretty dense snow, the ski handled it much better than I’d expected. I believe that many, many directional skiers — ranging from intermediates to experts — will get along really well with the Brahma — for use on-piste, off-piste, in firm conditions, and in soft conditions. There are a number of (mostly skinnier) skis that I would take over the Brahma if we’re talking about skiing true ice. But if you mostly ski softer groomers — and especially if you tend to ski a lot of soft groomers that very narrow skis tend to knife / punch into — then the more the Brahma would ascend in the rankings as a ski I’d want to use on groomers. But if we’re going to rip groomers for an hour, then go ski a mix of good bumps, weirdly-spaced bumps, or really steep bumps, I’ll still be extremely happy on the Brahma, and I suspect I’ll be happier than you will be on your narrower carver. And if in the afternoon we are then going to start tree skiing or hiking up to steeper, off-piste lines, my mood will range from something between uninterested to terrified (depending on the ski) to be taking a more carving-specific ski than the Brahma into such terrain. In a word, I think this Brahma is dialed. Those looking for a very particular set of characteristics will have reasons to opt for other skis. But given its impressive range of on-piste and off-piste performance; its combination of maneuverability and stability; and its capabilities in both forgiving and demanding conditions, the Brahma is one of the most versatile sub-90mm-wide skis on the market. 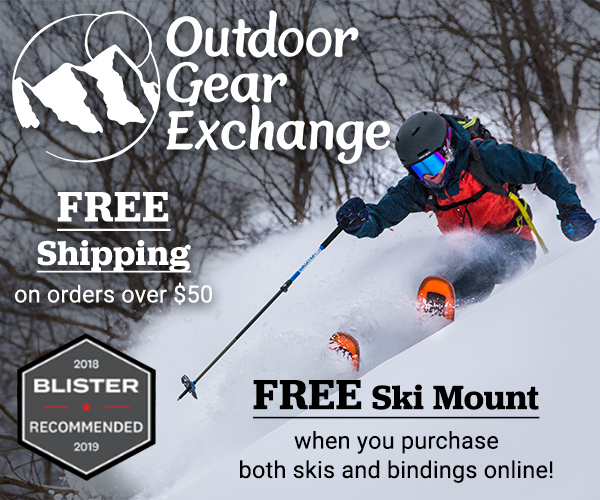 Become a Blister Member or Deep Dive subscriber and check out our Deep Dive of the Brahma to see how it stacks up against the Nordica Enforcer 93, K2 Ikonic 84 Ti, 17/18 Rossignol Experience 88, Salomon XDR 88, Atomic Vantage 90, Black Crows Orb, 17/18 HEAD Monster 88, 18/19 HEAD Monster 88, DPS Cassiar F94, Armada Invictus 89 Ti, and more. Thanks for all the effort. If possible I would be happy to see the Stormrider 88 thrown into the mix. I rode quite a few frontside carvers this yr. trying to find the right ski for me (after ankle pins and 15yrs out of the mountains) and the Stokli is where I finally settled. I would like a longer length for steep chatter and funky bumps are a bit intense but overall fun Sun Valley carver; I would be very happy to hear your take. Warm regards. Srm. Pretty excited for this upcoming deep dive, (i’ll likely even sign up again for that material) I demo’d and wound up buying the previous generation brahma after reading about it here a couple years back. Great ski. Does have some durability issues imo. Ski season is fading for me, but still stoked for the coming Deep Dive! Yes, I will be looking forward to the deep dive and really interested to see how the new Brahma might cover aspects of the Masterblaster and Ikonic 84 Ti . Hey guys thanks again for the great review. I now own a set of Brahmas thanks to you! Hey guys, an update on this: I detuned some more but no effect. Got out out the straight edge and bingo! Tip and tail were super edge-high (maybe something to do with the carbon sections?). Anyway, a pretty aggressive base grind or two later and happy days! Completely different ski. It’s almost impossible for skis to technically be edge high nowadays. When skis have rockered sections those sections don’t get as much pressure when they are being fed through the factory finishing machines so they tend to have some cupping but more so than that they tend to have less base bevel as there just isn’t the same amount of pressure put on these rockered sections. There is no reason to regrind these skis but they tend to need a touch more base bevel in the rockered sections as well as a little detune with a gummy or some sand paper. Unless you are dealing with an incredibly competent shop (there aren’t many) you run the risk of doing more damage to the skis by having them reground and done poorly. The finish on all Blizzards from the factory is some of the best in the industry. With just a few easy tweaks that can be done by hand in 20 minutes they can be completely dialed… trust me I’ve done it to 500+ pairs. Karl, this is probably after the fact, since it’s now Jan ’19. I’m not 6’2″, but when I purchased the Brahma, I weighed 260, and I went with 187. I was impressed that I could power these things through anything, and in the mid-afternoon soft crud when I typically took a break until it cooled…these things jammed. That was last year. Flash forward to this year, and I now weigh 182, so what to do on a pair of 187s? Nothing. I hear some say these are edgy. Hmmm, haven’t noticed. So far I’ve skied 14″ fresh pow, hard pack pow on the groomers, ice on near vertical, and through the timber. I cannot say enough about the Brahma, and mine are 2017-18s. Here’s the thing, Jonathan Ellsworth reviewed the 2017-17 Brahma for Blister back in ’15, and Jonathan recommends mounting the binding 1 to 1.5cm forward to assist in bumps and turns, so I had mine mounted 1.5cm forward based on his recommendation. I can’t compare if I had them at zero. All I know is the Brahma is the best all-mountain ski I have experienced. Have you guys experimented with mount points at all? I typically like skis mounted less far back than these and my past carver was a Rossi Experience 88, which has a more forward mount point. I would love to mount this at -8ish, do you think it will mess with the ski performance too much? Thanks! I’m interested in the Brahma for hardback conditions. I thought it had some camber under foot, but the label on the wrapper of the skis says “flat”. Do they make cambered version and a flat version? Looking to build out a 2-ski quiver…I picked up a pair of 180cm Brahma’s (cover the under 90mm gap with versatility) and looking to add something in the 100cm range. Nordica Enforcer 100 seems like the natural choice along with maybe the Bonafide (or too much overlap?). Any recommendations on a +/- 100cm waisted ski to go along with the Brahma? Sorry…forgot to ask if the Rusler’s would fit into the equation as well? Rustler 10? This is my first ever comment & I am really impressed with the Blister Reviews! I purchased a pair of Line Influence 105 (179) skis based on the reviews & great deal I received on the skis & I must say that they are great. I was looking to add something narrower for groomers/lack of snow days & demoed the 180 Bonafide, 180 Mantra, 177 Enforcer 100 & 93 as well as the 180 Brahma. The Enforcers were at the top until I decided to take out a pair of 2017-18 173 Brahmas. It was like finding a long lost friend! For me it was the perfect combination of length, stiffness & turn radius that I did not think was possible. I assume it is the stiff nature of the ski that allowed me to go down in size & still be able to make GS turns at high speed. I am very impressed with these skis & cant wait to carve up some more slopes!